My job is Junior Approvals Manager for Virgin Atlantic – I am giving a ‘kid’s eye view’ of the newly refitted 747 fleet that flies family-friendly routes. I had free rein of a new Virgin Atlantic 747-400 plane and had to submit a full report to Sir Richard Branson, giving my verdict on the plane! I tested the new cabin, the seats and recline, the food and drinks on board, and the in-flight entertainment. Two wonderful flight attendants, who also read the safety demonstration to me, looked after me. I had to grade each area with a comment before handing the report over to Sir Richard Branson. In my report, I was asked to grade the in-flight entertainment system, the cabin crew, the food, the on-board amenities pack (the socks and eye mask that I was given that helped me fall asleep in my comfy chair), the cabin comfort and the safety demonstration that I was given before the plane took off. My overall verdict on my report to Sir Richard Branson was “excellent” because I really loved the experience I had on it! 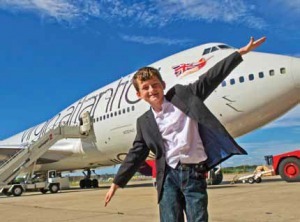 I will be giving my advice in the future and offering a kid’s view on other family developments with Virgin Atlantic! My mum found the advert for the job on Virgin Atlantic’s Facebook page. We made a video including photos of my aviation experiences, my big collection of safety cards and the airline business-class seats I have at home that I bought on the internet. 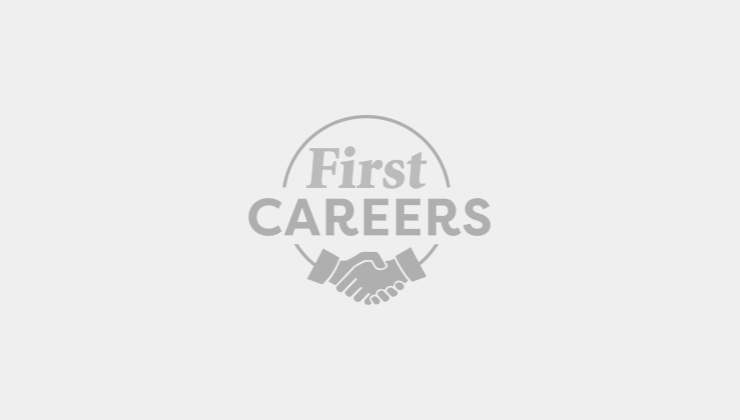 I was short-listed to a final five from over 600 applications that were sent in to Virgin Atlantic and, then, after some more questions, Sir Richard Branson picked me as the airline’s first Junior Approvals Manager! I love being the fir st to try out the new games, movies and controls on the new in-flight entertainment system. I loved having a whole 747 to myself to test out the new cabin and meet the Virgin crew. I love helping Sir Richard Branson to make his airline the best in the world and putting my passion for aviation to good use. My job can be tiring after a long day of doing it, but I absolutely love it. I’m so happy that I get to do what I love! Try to enjoy as many aviation experiences as possible, whether on an airline or on small aircraft. It helps to have a real love and passion for all planes and an eye for details, because they’re the things that people really look out for!